There are millions of U.S. citizens living in all parts of the world, many of whom I have identified as “Accidental Americans.” See the detailed tax article Accidental Americans” – Rush to Renounce U.S. Citizenship to Avoid the Ugly U.S. Tax Web” International Tax Journal,CCH Wolters Kluwer, Nov./Dec. 2012, Vol. 38 Issue 6, p45; Martin, P.
During the past century U.S. Citizens living permanently or nearly permanently outside the U.S. have been “de facto” non-residents for U.S. income tax purposes. Not because the law provided they were not residents, but simply because there was little awareness of the unique system of U.S. citizenship based taxation (or those cases where individuals purposefully chose not to comply with U.S. tax laws). The U.S. Supreme Court in Cook vs. Tait found it Constitutional nearly 100 years ago. See . “Tax Simplification: The Need for Consistent Tax Treatment of All Individuals (Citizens, Lawful Permanent Residents and Non-Citizens Regardless of Immigration Status) Residing Overseas, Including the Repeal of U.S. Citizenship Based Taxation,” by Patrick W. Martin and Professor Reuven Avi-Yonah, 2013. 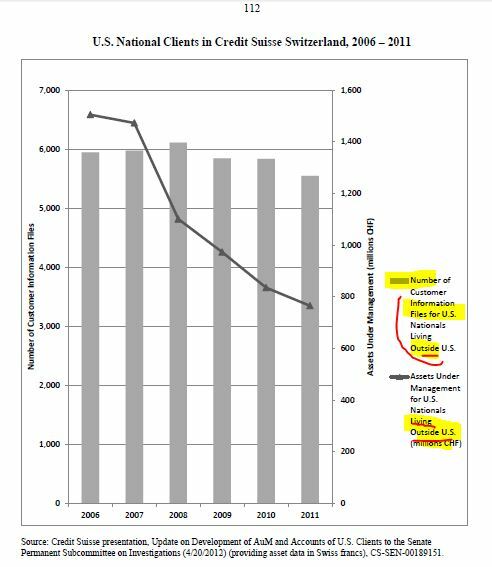 First, the UBS scandal of U.S. citizens with undeclared accounts broke in 2008 and 2009. Second the legal struggle between the U.S. Justice Department and the Swiss government and Swiss financial institutions during these past years. Third, the adoption of FATCA by the Congress and President Obama in 2010. Fourth, the current day technology which makes collecting, sending, sorting and identifying taxpayers and their assets through the worldwide financial sector now feasible. Fifth, the implementation of FATCA by the U.S. in 2014 and the 20 plus FATCA Intergovernmental Agreements entered into with various countries. Sixth, the OECD plan for a worldwide multilateral FATCA like system to be implemented shortly. Seventh, the high profile IRS offshore voluntarily disclosure programs in 2009, 2011 and the current program launched in 2012. Eighth, the on-going deferred prosecution agreements that have been entered into with more than 100 Swiss banks and the U.S. Justice Department. Ninth, on-going criminal indictments by the U.S. Justice department of various taxpayers, foreign bankers, foreign lawyers and other so-called enablers for tax evasion, filing fraudulent documents and aiding and abetting the same. Tenth, the Senate bi-partisan hearings that have and keep focusing and pushing these issues publicly at multiple levels. Eleventh, the internet and current methods of communications and intern ational media that have brought worldwide awareness to all of the above. This awareness has arrived to many of the corners of the world about these efforts and the concept of U.S. citizenship based worldwide taxation. This entry was posted in Criminal Tax Considerations, IRS Audit Techniques - Expatriation, Penalties, Tax Policy.